With less than a week until the release of the much anticipated Tom Clancy’s The Division 2 on Friday 15th March, I’ve decided to pick out my Top 10 Tom Clancy video games. First I thought I’d also have a brief look at the man himself and the many different types of entertainment he worked on during his life. Tom Clancy was born in Baltimore, Maryland on 12th April, 1947 as Thomas Leo Clancy Jr. He graduated from Loyola University in 1969 with an English Literature degree. During his time at University he applied for his dream job at the Army Reserve Officer’s Training Corps but was refused due to his poor eyesight. Instead he ended up working for insurance companies and writing novels in his spare time. Sadly he passed away on 1st October, 2013 from suspected heart failure. His first novel Hunt for Red October was published in 1984. It introduced his most popular fictional character Jack Ryan. With a little help from then-U.S. President Ronald Reagan, who said he enjoyed the book, it then went on to sell over 4.3 million copies. Since then the franchise has exploded into 100 novels and graphic novels as well as film, TV, and video game franchises. In 1990, Clancy’s Jack Ryan character made it to the big screen in The Hunt for Red October. This was followed by Patriot Games (1992), Clear and Present Danger (1994), The Sum of All Fears (2002) and Jack Ryan: Shadow Recruit (2014). 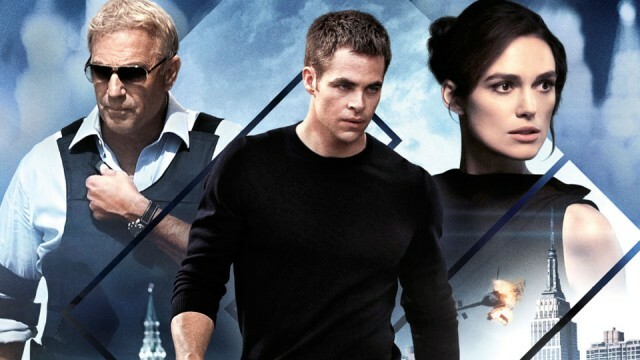 Actors that have played Jack Ryan on the big screen are Alec Baldwin, Harrison Ford, Ben Affleck and Chris Pine. The combined worldwide box office revenue for the five Tom Clancy films exceeds $923 million. 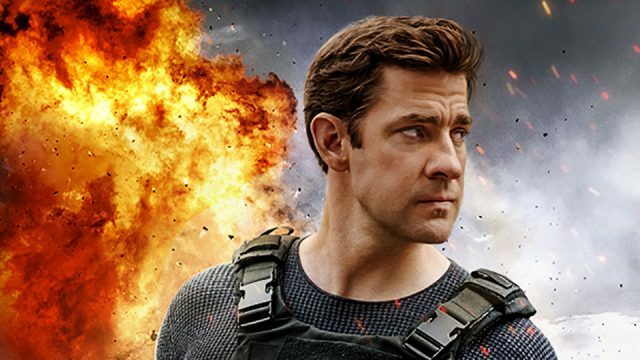 Tom Clancy’s Jack Ryan TV series came to Amazon Prime in 2018. It stars John Krasinski as the titular character. The show has been a huge success with season 3 being green lit before season 2 has even finished filming. Sign-up for a free 30-day Amazon Prime Video trial. Tom Clancy also made a move into video games with The Hunt for Red October being released back in 1987 – a game I remember playing on both the Commodore 64 and Amiga. In 1996, Clancy co-founded game developer Red Storm Entertainment who released their first game, Tom Clancy’s Politika, on Microsoft Windows in 1997. The company was bought by Ubisoft in 2000. In 2008, Tom Clancy sold his name to Ubisoft allowing them to use it without royalty payments. Across 44 video games the Tom Clancy franchise has broken Ubisoft company records, and boasts 44 million players across Rainbow Six, Ghost Recon, Splinter Cell, and The Division. Tom Clancy’s Endwar was a real-time strategy game for PS3, Xbox One and PC. It was most memorable for allowing you to control the game via voice recognition. Sadly it didn’t always work as intended but you could always fallback to mouse and keyboard or controller. Unfortunately the sequel that was in the works was cancelled. The first Splinter Cell game released for Xbox, PS2, GameCube and PC. It introduced players to black ops agent Sam Fisher who was voiced by Michael Ironside. The game had a big focus on stealth and I remember being blown away by the graphics, particular the building fire on the first mission. Also memorable was Sam Fisher’s googles that allowed night and thermal vision. The fifth Splinter Cell game launched on Xbox 360 and PC after suffering some delays due to reworking the gameplay. It was set some 3 years after Splinter Cell: Double Agent and introduced new mechanics including Last Known Position and Mark & Execute. It also featured both competitive multiplayer and co-operative modes. GRAW2 was a tactical shooter with squad-based combat for Xbox 360, PS3 and PC. It put players in the middle of a conflict on the US-Mexico border and improved on the original in pretty much every way. Wildlands is a tactical shooter set in an open-world. Player go up against the Santa Blanca drug cartel either solo with AI teammates or in online co-op. The game is an absolute riot with friends. Available on PC, Xbox One and PS4. Sam Fisher’s sixth outing was the last game that was released in the series. It was the first to replace Michael Ironside with Eric Johnson. The game was available on Xbox 360, PS3 and PC. Spies vs. Mercs returned as did co-op multiplayer. Siege is a tactical FPS for PC, Xbox One and PS4. It pits teams of 5 players against each one another, playing as attackers or defenders. There’s more than 30 operators to choose from each with their own gadgets and playstyle. Learning the various maps and working with your team is key to success. The Division features a mix of RPG, PvP online multiplayer and co-op. Set in a near future, players are tasked with helping rebuild after a smallpox pandemic. The Dark Zone’s are one of the biggest draws of the game. These are competitive PvP areas where some of the best loot in the game can be found. Another one that is best played with friends. The sequel to Splinter Cell, brought more of the same gameplay but with improvements across the board and better graphics. It ranks so high in my top 10 games due to the hundreds of hours I sunk into the incredible Spies vs. Mercs online multiplayer. It pits teams of two spies against two mercenaries. The spies had to infiltrate the levels to perform hacks while the mercs had to stop them. The stroke of genius here was allowing the spies to play in third person while the mercs played in first person. The game was released on Xbox, PC, PS2 and GameCube. Chaos Theory tops my list because it does the same as Pandora Tomorrow but better. Spies vs. Mercs returned with better levels, more modes and new gadgets. There was even online co-op. The game was again released on Xbox, PC, PS2 and GameCube. Tom Clancy’s The Division 2 is an action-shooter RPG set in an open-world. Set seven months after a deadly virus was released in New York City, the game brings players into a fractured and collapsing Washington D.C. With the world on the brink, people are living through the biggest crisis ever faced in human history. As veteran Division agents, players are the last hope against the complete fall of society as enemy factions vie for control of the city. If Washington D.C. is lost, the entire nation will fall. Tom Clancy’s The Division 2 releases worldwide on March 15th, 2019, on Xbox One, PS4 and Windows PC. Check out the official Division 2 website for more information on the game.